The aim of this paper is to present a novel approach to enable a four-wheel steer four-wheel drive (4WS4WD) vehicle to follow a predefined path under force control. The novelty is in the combination of a sliding mode controller that determines the steering angles using a kinematic model and a real-time particle swarm optimization based controller that determines the drive torques using a dynamic model. The dynamic model takes into account all the slip forces acting on the vehicle. The combined controllers are then used to drive the 4WS4WD vehicle to follow a path. In order to enable the implementation of the controllers, the path to be followed is generated using 7-order Bézier curves that can provide smooth kinematic and dynamic reference profiles. Simulation results are provided to demonstrate the applicability of the proposed methodology and its robustness. Baffet, G., Charara, A., & Stephant, J. (2006). Sideslip angle, lateral tire force and road friction estimation in simulations and experiments. In IEEE international conference on control applications computer aided control system design (pp. 903–908). doi: 10.1109/CACSD-CCA-ISIC.2006.4776765. Carlisle, A., & Doizier, G. (2001). An off-the-shelf PSO. In Proceedings of the workshop on particle swarm optimization, Indianapolis (pp. 1–6). http://libra.msra.cn/Publication/2038172/an-off-the-shelf-pso. Chuan, L., & Quanyuan, F. (2007). The standard particle swarm optimization algorithm convergence analysis and parameter selection. In Third international conference on natural computation (Vol. 3, pp. 823–826). doi: 10.1109/ICNC.2007.746. Liu, W., Liu, L., & Cartes, D. (2008). Efforts on real-time implementation of PSO based PMSM parameter identification. In: Power and energy society general meeting—Conversion and delivery of electrical energy in the 21st century (pp. 1–7). doi: 10.1109/PES.2008.4596324. Lohmiller, W., & Slotine, J. J. (1997). Applications of contraction analysis. In Proceedings of the 36th IEEE conference on decision and control (Vol. 2, pp. 1044–1049). doi: 10.1109/CDC.1997.657584. Ramaswamy, S., & Balakrishnan, S. (2008). 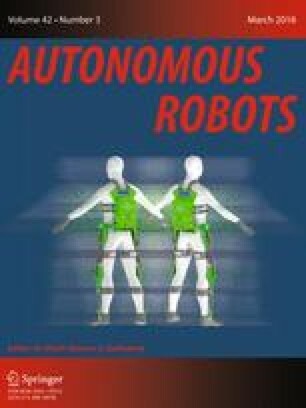 Formation control of car-like mobile robots: A Lyapunov function based approach. In: American control conference (pp. 657–662). doi: 10.1109/ACC.2008.4586567. Sleight, R., & Agrawal, S. K. (2004). Dynamic model of a four-wheel-drive HMMWV. In 28th biennial mechanisms and robotics conference (Vol. 2, pp. 1183–1191). doi: 10.1115/DETC2004-57444. Sleight, R., & Agrawal, S. K. (2007). Runge–Kutta methods and inverse Hermite interpolation. In International symposium on symbolic and numeric algorithms for scientific computing (pp. 118–123). SYNASC. doi: 10.1109/SYNASC.2007.28. Udengaard, M., & Iagnemma, K. (2007). Kinematic analysis and control of an omnidirectional mobile robot in rough terrain. In: IEEE/RSJ international conference on intelligent robots and systems, IROS (pp. 795–800). doi: 10.1109/IROS.2007.4398996. Zhou, S., Zhang, S., Zhao, G., Tang, C. (2010). Lateral stability control of car-trailer combination based on 4WS. In: International conference on measuring technology and mechatronics automation (ICMTMA) (Vol. 2, pp. 576–579). doi: 10.1109/ICMTMA.2010.123.